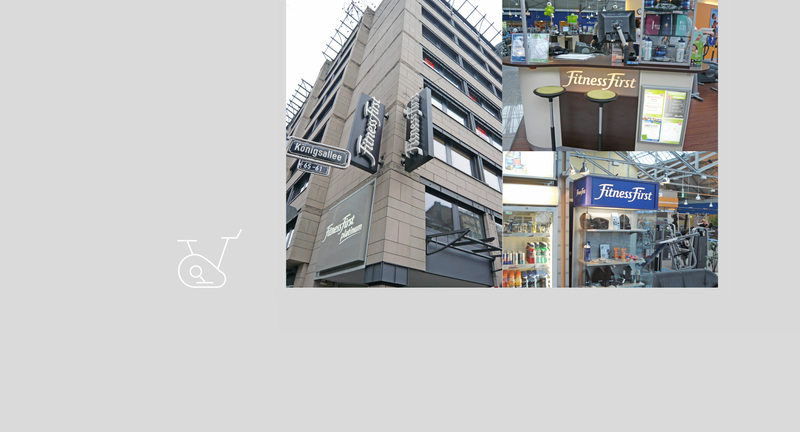 In 2008, it was decided by Fitness Company und Freizeitanlagen GmbH, Kennedy Allee 87, 60596 Frankfurt and the company headquarters of Fitness First in London to that all the clubs in Germany should be modified in line with the international Fitness First standard. The project was divided into two phases and involved the rebranding of a total of 99 clubs. To fit in with with the new marketing concept, all advertising displays, both inside and outside, were exchanged and all foil coverings and signage inside and outside every fitness club were replaced. certain special cases, holding talks with representatives of the licensing authorities.